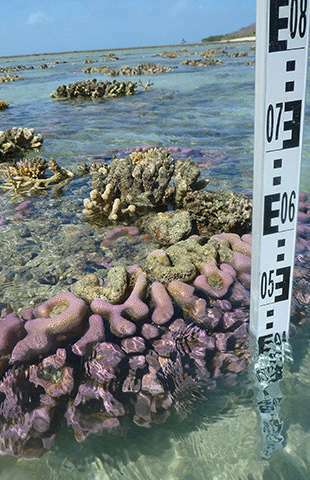 Sea level variations on the Great Barrier Reef linked to global temperature changes thousands of years ago may help predict future changes, a new University of Queensland study has revealed. With millions of people around the world living close to coastlines, rising sea levels are a topic of significant concern, but predicting sea level changes has been complex and difficult. School of Earth and Environmental Sciences researcher Dr. Nicole Leonard said researchers used high-precision uranium thorium dating techniques developed at UQ to reconstruct sea levels during the recent geological Holocene period. "Our study provided a sea level history for the tectonically stable Great Barrier Reef by comparing the elevation of modern corals to 94 sub-fossil corals," Dr. Leonard said. "We found that the sea level varied between 0.2-0.4 metres during distinct periods over the past 6000 years. "The study also revealed that sea level lowering events occurred at the same time as colder Pacific sea surface temperatures, rapid global cooling events and glacial advances." The research team concluded the pace and magnitude of sea level changes suggested that it was responding to global temperature changes in conjunction with regional climate. The findings have important implications for improving the understanding of sea level response to future global climate change predictions. 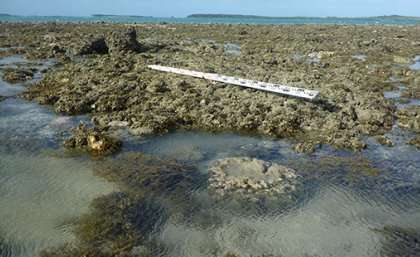 "As well as the major implications to future modelling efforts, refining the sea level history of the Great Barrier Reef was also important to understand past ecological, archaeological and sedimentary records at coastal locations," Dr. Leonard said. The study, involving researchers from UQ's School of Earth and Environmental Sciences and School of Biological Sciences, is published in Earth and Planetary Science Letters.